[EN] Heavily recommended by Enough Records artist M-PeX, here is a full album of electronic fusion sounds by Portuguese project Jazzafari. 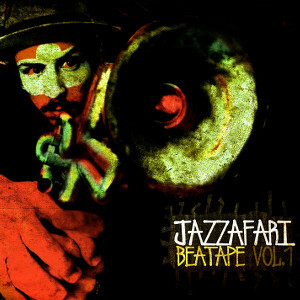 It mixes electronic, hiphop, jazz and world music sounds together into a string of soulful beats, breaks and tracks. Perfect soundtrack for chilling in your lounge during these lazy summer days. Co-release with Toma Lá Records. [PT] Fortemente recomendado por M-PeX, editamos um album do projecto Português Jazzafari, que aqui mistura sonoridades da electrónica, hip hop e jazz num album de fusão que cria a perfeita atmosfera para estas pachorrentas tardes de verão. Uma co-edição com a Toma Lá Records.